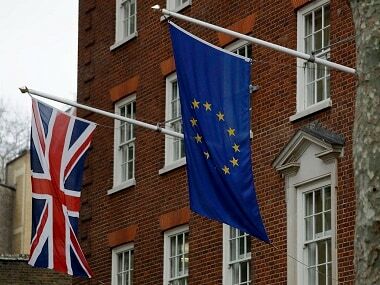 London: Britain’s Parliament has spoken — and it has said no, again. 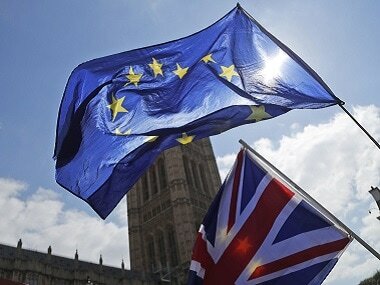 Lawmakers seeking a way out of the country’s Brexit morass on Monday rejected four alternatives to the government’s unpopular European Union divorce deal that would have softened or even halted Britain’s departure. With just 12 days until the UK must come up with a new plan or crash out of the bloc in chaos, the House of Commons threw out four options designed to replace Prime Minister Theresa May’s thrice-rejected Brexit deal — though in some cases by a whisker. The result leaves May’s Conservative government facing difficult and risky choices. It can gamble on a fourth attempt to push May’s unloved deal through Parliament, let Britain tumble out of the bloc without a deal, or roll the dice by seeking a snap election to shake up Parliament. Brexit Secretary Stephen Barclay said the government would continue to seek support for a “credible” plan for leaving the EU. May has summoned her Cabinet for a marathon meeting on Tuesday to thrash out the options. 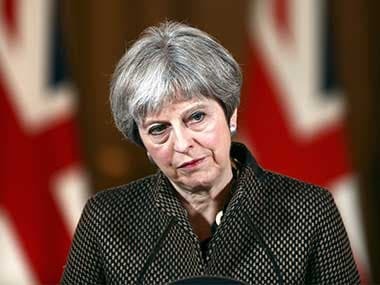 The prime minister, who is renowned for her dogged determination, could try to bring her Brexit agreement back for a fourth time later this week. Monday’s votes revealed a preference among lawmakers for a softer form of Brexit — but not a majority to make it happen. 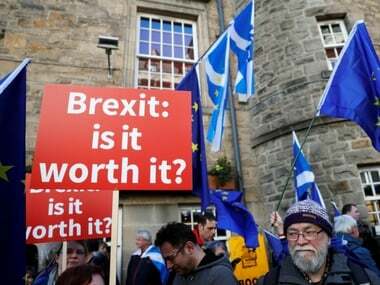 A third proposal calling for any Brexit deal Britain strikes with the EU to be put to a public referendum was defeated 292-280. 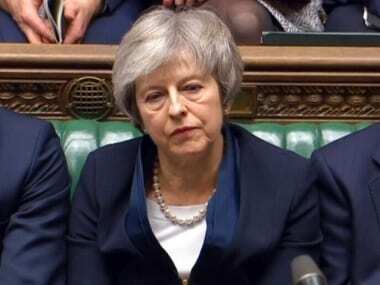 The fourth, which would let Britain cancel Brexit if it came within two days of crashing out of the bloc without a deal, fell by a wider margin, 292-191. Conservative lawmaker Nick Boles, architect of the single-market option, acknowledged he had failed in his attempt to break the deadlock. “I have failed chiefly because my party refuses to compromise,” Boles added, announcing that he was quitting the Conservatives to sit as an independent in Parliament. The 12 April deadline, imposed by the EU, gives Britain’s politicians less than two weeks to bridge the hostile divide that separates those in her government who want to sever links with the EU and those who want to keep the ties that have bound Britain to the bloc for almost 50 years. Lawmakers have carved out more time on Wednesday for further votes on Brexit options. But Chief Secretary to the Treasury Liz Truss said it would be better than a soft Brexit. “I don’t have any fear of no-deal,” she said. The Brexit impasse has alarmed businesses, who say the uncertainty has deterred investment and undermined economic growth. EU leaders have called a special summit on 10 April to consider any request from Britain for a delay to Brexit — or to make last-minute preparations for Britain’s departure without a deal two days later. The European Parliament’s Brexit coordinator, Guy Verhofstadt, warned that a no-deal Brexit was looming unless Britain changed course.